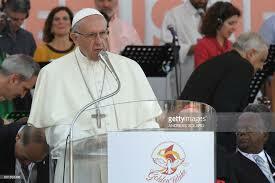 Three years ago, Pope Francis invited the world’s charismatic Catholics to join him in Rome for Pentecost this year. Fifty thousand people from more than 120 countries took him up on the invitation—including about 50 from B.C. This year marks the Golden Jubilee of the Catholic Charismatic Renewal, which got its start at a retreat held by students at Duquesne University in Pittsburgh in 1967. International Catholic Charismatic Renewal Services celebrated the jubilee with five days of activities in Rome, culminating in Pentecost Sunday Mass in St. Peter’s Square with Pope Francis June 4. Pilgrimages to Rome were organized in the Vancouver archdiocese and the Nelson diocese, while others from B.C. travelled with an Edmonton group or independently. The groups also visited other religious sites in Italy. The celebration in Rome featured three events with Pope Francis: a general audience at St. Peter’s Square Wednesday morning, at which he welcomed charismatic pilgrims; a Saturday evening prayer vigil at the Circus Maximus, scene of ancient Roman chariot races and Christian martyrdoms; and the Pentecost Sunday Mass. Pope Francis went on to stress three more points: Christian unity, the importance of praising God, and the care of the poor. He called attention to the fact that the Circus Maximus, where he was speaking, was a place where early Christian martyrs were killed—and that Christians of all denominations are still being killed today for their faith. He called this “the ecumenism of blood,” when people are killed, not for being Catholic or Evangelical or Lutheran or Orthodox, but simply for being Christian. He concluded: “To share baptism in the Holy Spirit with everyone in the Church, to praise the Lord unceasingly, to walk together with Christians of different Churches and Ecclesial Communities in prayer and activity on behalf of those in greatest need, to serve the poor and the sick,” he said. “This is what the Church and the Pope expect from you, Catholic Charismatic Renewal, but also from everyone here: all of you who have become part of this flood of grace.” L’Osservatore Romano put attendance at 50,000. At the Pentecost Sunday Mass, he prayed, “Spirit of God, Lord, who dwell in my heart and in the heart of the Church, guiding and shaping her in diversity, come! Like water, we need you to live. Come down upon us anew, teach us unity, renew our hearts and teach us to love as you love us, to forgive as you forgive us. Amen”. In addition to the events with the Pope, a Jubilee prayer meeting and Mass was held on the Friday at the Circus Maximus, featuring Patti Mansfield and David Mangan (see Page 4), who were part of the 1967 retreat in Duquesne; Michelle Moran, president of International Catholic Charismatic Renewal Services, the Rome-based governing body; Ralph Martin, a longtime Catholic charismatic leader and evangelist; and Vinson Synan, a Pentecostal pastor who has supported the Catholic renewal from its early days. Cardinal Kevin Joseph Farrell celebrated the Mass. Father Raniero Cantalamessa, preacher to the papal household and a major charismatic speaker, spoke at the Saturday vigil. Workshops on numerous topics, from charismatic gifts to working with the poor, were held at various churches in the city. Speakers included Sister Briege McKenna, Sister Nancy Kellar, Jim Murphy, Cyril John, Charles Whitehead, Mary Healy, and many other charismatic leaders. It’s time for the Catholic charismatic renewal’s 50-year review. Fortunately, the Book of Revelation has already done it for us. Peter Thompson, featured speaker for Our Lady of Pentecost Gathering in the Spirit in Kelowna in August, says the letters to the seven churches found in chapters 2 and 3 of the New Testament book of Revelation were written about 50 years after the original Pentecost. More than 1,900 years later, they match up well to the situation of the renewal 50 years after it began. Precious Embers was the theme of the gathering, held Aug. 13-18 at St. Elizabeth Seton House of Prayer. Thompson, a Catholic evangelist from Calgary, and Father Obi (Sylvester) Ibekwe of Creston, Nelson diocesan liaison for the charismatic renewal (see page 3), were the speakers. The gathering, formerly known as Our Lady of Pentecost Summer Institute, is sponsored by Nelson Diocesan Catholic Charismatic Renewal Services and endorsed by Catholic Charismatic Renewal Services of B.C. More than 40 people, from across the diocese and beyond, attended. Sound familiar? “We (charismatics) have a reputation of being alive in the Holy Spirit,” Thompson said. “People might think we were a bit crazy, but we had a reputation of being alive.” And now, he said, most of us, like the church in Ephesus, have “turned aside from your early love. In six talks over the first three full days of the gathering, Thompson gave advice on many fronts for recovering the power of the charismatic renewal. Exercise the gifts of the Holy Spirit. He said there are far too many prayer groups that don’t exercise the charismatic gifts beyond maybe 20 seconds of prayer in tongues at each meeting. There’s no prophecy, no healing. “Why the decline? Have we allowed that desire to grow cold? At most funerals, he said, we hear that the deceased is in a better place, presumably heaven. “Not quite so fast,” he warned. “We may need further purification.” That’s what purgatory is for. Jesus desires that everyone be saved, but we need to be made fit for heaven first. “To be holy is to be set apart by God, for God,” he said. Everyone, even adults with a spectacularly sinful past, are made holy at the moment of baptism, and when we fall away from that, we can turn to confession and the Eucharist. He also recommended seeking indulgences offered by the Church out of the “treasury of heaven”—the immeasurable merits of Jesus, as well as the merits of the Blessed Virgin Mary and the saints. Indulgences do not forgive sin but do take away the temporal punishment of sin, shortening time in purgatory for ourselves or for those in purgatory for whom we pray. He also reminded the gathering that both faith and works are pure supernatural gifts from God; we don’t earn salvation by our own efforts. This point was agreed to by the Catholic and Lutheran churches in 2000, thus ending one of the biggest arguments of the Protestant Reformation. “It’s grace, grace, grace,” he said. He said everyone in heaven is Catholic “by the time they get there,” but not everyone who gets to heaven is Catholic in their earthly life; those who lack knowledge of the Church and the Gospel, but seek God with a sincere heart and follow His grace, can be saved. Still, this doesn’t mean everybody is saved; the Catechism of the Catholic Church (844) says many are deceived and choose darkness. We don’t know if any individual is in hell, Thompson said, but he noted that Jesus said the road to destruction is wide, and many follow it. How serious is our obligation? Thompson said early missionaries to the West African country of Ghana took their coffins with them, because foreign missionaries had a life expectancy of six months to a year; “they knew they were going to die.” But it was worth it to save souls. How should we evangelize? We should start by praying for the salvation of every stranger we see. And we should show our faith by the way we live. But we need to talk about Jesus, too. “The witness of life sooner or later must be proclaimed by the word of life,” Pope Paul VI said. “Love, and pray for the opportunity to share the Good News,” Thompson said. He said our society is in bad shape and most people demonstrate “practical atheism” in that “the word of God has no bearing on their lives.” But he also said the real struggle is in the spiritual realm, not in human society. “Our battle is not against those who deny Christ, but against powers and principalities” [the demonic]. Thompson, born in England, studied for the priesthood, but discerned a vocation for lay life. He and his wife, Madeleine, who was also at gathering, have been married f55 years. They moved to Canada in 1967. They spent two years in door-to-door evangelization in England in the 90s. Peter has served 12 years on the Canadian national service committee, and two terms on the international service committee. 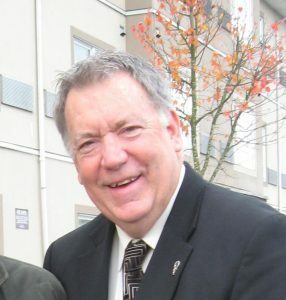 He also does missionary work in Africa with Renewal Ministries, headed by Catholic evangelist Ralph Martin, and was on his way to Kenya the day after leaving Kelowna. Cyril John (at right), former vice-president of International Catholic Charismatic Renewal Services and author of Pray Lifting Up Holy Hands, has been announced as guest speaker for the 10th annual Our Lady of Pentecost Gathering in the Spirit, to be held next summer in Kelowna. The event, formerly known as Our Lady of Pentecost Summer Institute, will take place Aug. 12-17 at St. Charles Garnier Church. Theme is Prophetic Intercession. John, 60, was born in Kerala, India, and currently lives in New Delhi. 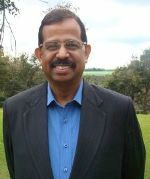 He was baptized in the Holy Spirit in 1982 and held a number of leadership positions in the Catholic Charismatic Renewal in India beginning in 1991. He was named to the international service committee, based in Rome, in 2004 and was vice-president from 2007 to 2015. 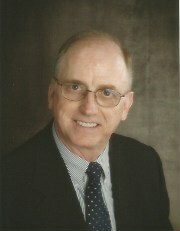 His book, Pray Lifting Up Holy Hands, was published in 2012 and is a guide to intercessory prayer. The Gathering in the Spirit will run Sunday evening to Friday lunchtime, and will feature two talks by John on each of the four full days, plus discussions, a healing Mass, and other evening devotional events, plus ample time for prayer and reflection. All events are at St. Charles Garnier except for the opening Mass, to take place Sunday evening in Mary’s Grove at St. Elizabeth Seton House of Prayer. Cost until June 15, 2018, is $500 including accommodation at Seton House, or $275 without accommodation; both figures include meals and all sessions of the gathering. After June 15 the cost is $550 with accommodation, $325 without. Space at Seton House is limited to 30 people (double occupancy). Some billeting may be available. To register, contact Maria McManus, #22-2035 Boucherie Rd. Westbank BC, V4T 1Z6, 250-707-1423, untamedspirit@telus.net. A $50 non-refundable deposit must accompany registration to hold a room at Seton House. The Gathering in the Spirit is sponsored by Nelson Diocese Catholic Charismatic Renewal Services and endorsed by Catholic Charismatic Renewal Services of B.C. The fire that poured down on the first Christians on the original Pentecost day is just as necessary for the Christians of the 21st century, Father Obi (Sylvester) Ibekwe told Our Lady of Pentecost Gathering in the Spirit. He noted that the Baltimore Catechism taught that God made us “to know Him, to love Him, and to serve Him in this world, and to be happy with Him forever in heaven.” And the Holy Spirit, given at the first Pentecost and to all Christians since then who are willing to receive Him, makes it possible for that to happen. He noted that in the account of Pentecost in Acts chapter 2, the tongues of fire that bring the Holy Spirit separate and come to rest on each individual (verse 3). “When God deals with us, He doesn’t deal with us as a crowd,” Fr. Ibekwe said. “Each person is unique.” And like the burning bush of Exodus 3:2, where the flame does not consume the bush, the fire of the Holy Spirit is not destructive of our individuality. “We are still intact,” he said. It does change us, though. It fills us with joy – “it is a contradiction to see a Christian who is sad” – and it gives us a sense of urgency to “rush out of the door” and proclaim the word of God. The risen Jesus tells the disciples in Acts 1:8 that they will go to the ends of the world to be His witnesses, and Pentecost, a Jewish holiday which originated as a harvest feast in the agricultural sense, became a spiritual harvest, with 3,000 people converted to the Gospel (Acts 2:41). He said there are five steps by which people become disciples of Jesus, and gave advice on how Christians can help them along the path. Then, we need to satisfy curiosity when people have questions about our faith, even hard questions like how a good God can allow evil in the world. We need to tell the reason for our hope, but we shouldn’t overdo it—sometimes, he said, “we try to fill a teaspoon of a question with a gallon of an answer,” but that’s a mistake. Next, we must pray for and encourage spiritual openness. He said all people, from Pope Francis to the famed atheist author Richard Dawkins, have a “God-sized hole” in their hearts, and can be brought to realize this. Then, we should encourage any active spiritual seeking that people may show, as when they want to attend Mass or get involved in the parish some way. David Mangan was looking at the Holy Spirit through a scientist’s eyes when he went on the first Catholic charismatic retreat 50 years ago. He saw more than enough to convince him that the Spirit is real. 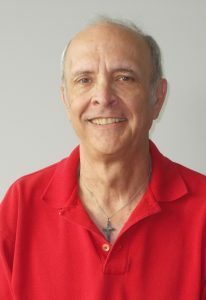 Mangan, now 72, was a 22-year-old math graduate when he joined 26 others on a retreat at the Ark and the Dove Retreat Center near Duquesne University in Pittsburgh in February 1967. Twelve of the young Catholics were baptized in the Holy Spirit on the retreat, which is now considered the beginning of the worldwide Catholic charismatic renewal. He told his story as featured speaker at the Nelson diocesan charismatic conference in April in Kelowna, as the renewal celebrates its golden jubilee. “I am still an introverted mathematician, but I am a radically different man from what I was then,” Mangan told the conference. At the weekend retreat, Mangan was too tired from his week’s work to get much out of the Friday evening activities, but on Saturday morning his interest was piqued by what he heard from the speakers on the first two chapters of Acts. He learned that the Greek for “power” in Acts 1:8 (“you will receive power when the Holy Spirit comes upon you”) is dunamis, the origin of the English word “dynamite.” “I said, ‘where’s the dynamite?’” he recalled. Then he was told that speaking in tongues, as in Acts 2, still happens today, and he wrote in his notebook “I want to hear someone speak in tongues—me!”; he says he probably wouldn’t have believed in tongues if he had heard somebody else. Then at lunchtime, the whole project was threatened. A water pump failed, the repair man couldn’t come until Monday, and it looked like the retreat would have to be cancelled. Mangan was upset at that prospect—“I’m on the trail of something,” he said—so he and a few others went into the chapel to pray for a solution. “Never before had I prayed for something that I needed the answer right now,” he said. But as the group sat on the floor of the bare chapel before the Blessed Sacrament, he had a brief burst of faith and prayed out loud, “thank you, Lord, for giving us water.” Then he felt foolish—what if there was no water? When the group was done praying, the others went off to lunch, but not Mangan. “I was the scientist,” he said. “I went right into the kitchen and turned on the water. It came gushing out.” It turned out that the repairman had had a change of heart and fixed the pump while the group was praying—not a miracle, but answered prayer is answered prayer. No sooner had he left the chapel, though, when he began to doubt whether his experience was real. So, he said, he did what scientists do when they mistrust their data: they look for more data. He went back to the chapel and all the same things happened again. The rest of the weekend, the Spirit stayed with him. Sunday morning, he was trying to be unobtrusive in the back row when he was overcome by roaring laughter; he fell off his chair and had to go to another room—“so much for not disturbing people.” The laughter lasted an hour. The Catholic charismatic renewal is far from dead, but at age 50 it could use some rejuvenation, says David Mangan, who has been part of the renewal from the beginning. Mangan asked three pre-teens who attended the Nelson diocesan charismatic conference in April in Kelowna to pray a blessing over the 150 people in the congregation, most of them a long way past their teens. The renewal is “hardly ready to be put out of its misery,” Mangan said, and it has some real strongholds in some parts of the world. In the United States, where he lives, there are some strong pockets, but not many, and he said he suspects Canada is much the same. Mangan said we need to embrace the gift of tongues more fully. He said he has developed the ability to “pray without ceasing” by praying in tongues under his breath whenever he’s not doing anything specific that requires his attention. At times that has led him into contemplative prayer—not always, since contemplation is a gift from God, but when it happens he said it is like being the disciple John lying on Jesus’ breast (John 14:25, 21:20). If you haven’t prayed in tongues, he said, ask God for the gift and then just keep making sounds, but don’t speak English or any other language you know. Those who already pray in tongues should do the same, and keep going while avoiding the tongue they usually use. In every situation, he said, we should ask God what He’s doing there; “then you follow that, and it will work.” We won’t know everything God is doing, but we will know some things—for example, He is always loving people. “Jesus died while we were sinners,” he said. “He didn’t wait until we stopped sinning.” There are 10 Gospel passages where Jesus rebukes the disciples for their “little faith,” but every time He still meets their needs—for example, He saves Peter when he starts to sink after trying to walk on water. The origins of the jubilee are in the book of Leviticus, where God teaches His Chosen People how to sanctify time. Through Moses at Mount Sinai, the Lord instructed the Israelites how to order their lives within the rhythm of weeks, months, and years such that they continually renewed their fellowship with Him and with one another. They were to keep holy the seventh day, the Sabbath; to celebrate each new moon; and to observe a liturgical cycle of special feasts and seasons each year. And beyond the annual calendar, certain years were sacred. The Lord commanded that every seventh year would be a sabbath year (Lv 25:1–7). That is, the people had to rest from agricultural work and let the land itself “rest,” or lie fallow—there could be no sowing or reaping. To celebrate the sabbath year was an act of trust in God. It required trust that even without human labour, God would provide enough for the people to eat through what grew of itself or what they had saved from previous years. The sabbath year helped ensure that God’s people would not be slaves to work, that they would not close themselves off in a utilitarian or consumerist vision of reality. Even greater than the sabbath year was the jubilee year (Lv 25:8–55). The jubilee was a kind of super-Sabbath, to be held after every seven times seven years—that is, the fiftieth year. The Israelites called it a “jubilee” (Hebrew yobel) because they announced it at the end of the forty-ninth year by blowing a ram’s horn (yobel). Leviticus goes on to explain that the jubilee is to be a year of rest, release, and return. It is a year of rest because, just as in the sabbath year, the people are to take a year off from their farm labour and let the land lie fallow. Long before modern ideas of crop rotation, the Lord taught Israel how to let the land rest and recoup its nutrients! It is a year of release because the slave-owners of all Israelites who had sold themselves into slavery to pay a debt (a common practice in the ancient world) would free them. This means that no Israelite could be a true slave. He was only an indentured servant, who would eventually be free. Thus, God reminded the Israelites that they were servants of Him alone, who freed them from slavery in Egypt. The book of Deuteronomy later added another form of release: during the jubilee, all debts are to be forgiven (Dt 15:1). The weight of a debt could not permanently oppress God’s people. And it is a year of return because all land that had been sold off (another common way of repaying a debt) had to be returned to its original owner, and the owner could return to his land. The jubilee ensured that selling property was only a long-term lease. This was essential because an Israelite family’s portion in the holy land was not real estate that they could trade like a commodity, but a sacred inheritance from the Lord. No member of God’s people could be permanently alienated from his land. The jubilee would thus enable all God’s people to remain in the freedom and fullness of life that He desired for them. No Israelite could be permanently impoverished, and no small group of people could accumulate most of the wealth. The “year of favour from the Lord” refers to the jubilee. God promises that the coming of the Messiah will be a new and greater jubilee, a time of freedom and healing, consolation and joy. And what happened when Jesus came? At the beginning of His public ministry, He went into the synagogue at Nazareth, read this passage from the scroll of the prophet Isaiah, and then announced to His stunned audience, “This text is being fulfilled today even while you are listening” (Lk 4:21). Jesus was proclaiming that His whole mission is to inaugurate the new and everlasting jubilee—the true rest, release, and return of which the ancient jubilee was only a foreshadowing. He gives us the true rest of communion with God, the true release from captivity to sin, and the true return to the promised land God always intended for us, heaven. The Church had long forgotten the idea of a jubilee in her history until Pope Boniface VIII announced a jubilee year in 1300. He called Christians to celebrate it with almsgiving, works of mercy, and pilgrimages. Since then, the Church has celebrated jubilees on and off, and sometimes has marked an “extraordinary” jubilee (one not at a fifty-year interval), like the Year of Mercy called by Pope Francis. Celebrate the Jubilee as rest by taking extra time off from our labours, even ministry labours, and simply enjoying the fruit that God has made to grow through the Charismatic Renewal. Take extra time to visit people, renew old friendships, make a pilgrimage, and enjoy the Lord’s presence in worship. Celebrate the Jubilee as release by forgiving any outstanding debts—debts of offences committed against us, and perhaps even monetary debts. Let us do all that is in our power in this Jubilee year to heal broken relationships. Celebrate the Jubilee as return by returning to our first love, the passion for Jesus that the Holy Spirit kindled in us, and by returning to the childlike trust in God and abundant exercise of spiritual gifts that we may have known in the past. I was baptized into the Catholic faith when I was 2 weeks old, and have loved being in the body of Christ my entire life. I love the Catholic Church!!! My introduction to the Charismatic Renewal began in Juneau, Alaska (USA). It was June of 1971. I had gone into an Assembly of God church, out of mere curiosity. I was surprised by what I encountered there, but fell in love with these new brothers and sisters. So many things that I had longed for in my relationship with God I found in that amazing encounter with the Holy Spirit! I returned to my home in Michigan (USA) and attended a prayer meeting put on by the Word of God Community in Ann Arbor, Michigan. In the following years, I became very involved in the Catholic Charismatic Renewal. I was excited to see how the Spirit was transforming the lives of so many people. I was happy to serve where I could, as I believed the Renewal was a significant way God was working in the world, and was excited to be part of this amazing grace. Eventually, I was asked to serve on ICCRS, which was a great honour, but also carried a sense of responsibility. In ICCRS, I met many wonderful brothers and sisters from all over the world. I also saw how the one Spirit could move in many ways. God’s work was much bigger than anything I could imagine. I also understood that God works in a variety of ways through a variety of people. No one “owns” the Spirit. Those years of service and all those important lessons came to a new moment of realization and clarity as I stood in the crowd at Circus Maximus, during the recent celebration of the Golden Jubilee of the Catholic Charismatic Renewal held in Rome at Pentecost. The Jubilee was an opportunity to look back, give thanks, and reflect upon some important lessons. It was also a time to look ahead, trying to understand God’s plans for us and learning how to respond in this new day. In the ICCRS council meeting that followed the festivities, there was a surprise of the Spirit with my election as the next president of ICCRS. 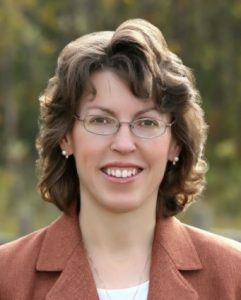 I love and respect our former president, Michelle Moran, so much, that, to be honest, it is a bit intimidating to try to walk the path she has blazed for us. Still, I have to trust God and rely on the prayers of my beloved brothers and sisters, that God will give me the grace necessary to fulfill my task. As the ICCRS council was coming to a close, we returned once more to the now empty Circus Maximus. The open field was in sharp contrast to the throng of nearly 38,000 people gathered there just a few days earlier. We walked back to the place where Pope Francis had addressed the crowd. The stage was gone; the chairs were taken away. It was an empty space. However, as we stood there looking over the open area, I seemed to see again the smiling faces, the banners snapping in the breeze, and the hands lifted in prayer and jubilation. “Looking out” over the crowd once more, a crowd from more than 120 nations, I fell in love with the Renewal all over again. But the “Renewal” I felt so deeply for at that moment wasn’t simply a structure, an organization, or an office. It was the men and women, the brothers and sisters…the family from all over the world who had experienced and surrendered to this sweet touch of God’s love, the Holy Spirit. At the end of the day, the Renewal is not about numbers, demographics, or even accomplishments. It’s about people… you and me… who have been “set on fire” with the love of God. People who believe that the Spirit of the Lord still moves upon the land to bring hearts close to the Father under the Lordship of Jesus. That is the Renewal that I love. That is the Renewal I will serve.